We are facing major challenges. However, we are well prepared to cope with. Get to know our management of LEAG. Dr. Helmar Rendez is heading the Management Board of Lausitz Energie Bergbau AG and Lausitz Energie Kraftwerke AG. He has been a member of the joint Management Board of Vattenfall Europe Mining AG and Vattenfall Europe Generation AG since 2015. 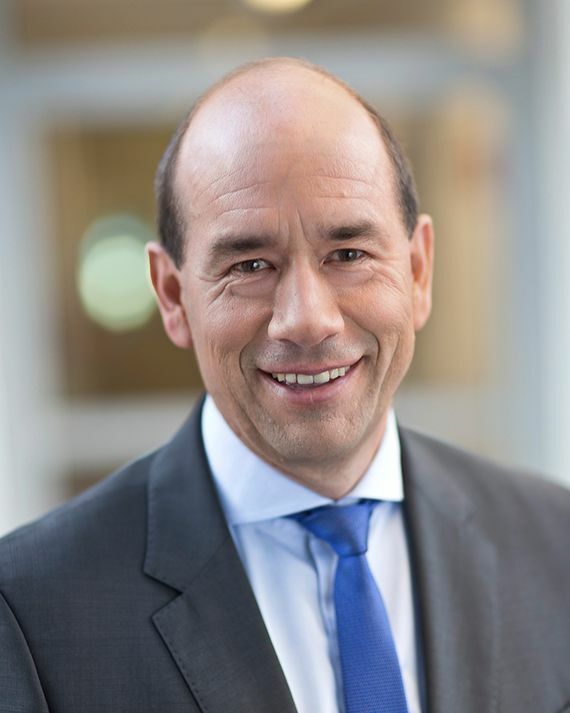 He has had various senior management positions in the energy industry since 1988: Chairman of the Board of Stromnetz Berlin GmbH, Stromnetz Hamburg GmbH and Vattenfall Europe Netzservice GmbH as well as Head of Business Unit 'Distribution' of the Vattenfall Group (2007-2014), member of the Executive Group Management of Vattenfall AB (2007-2010), member of the Management Board of WEMAG AG (2004-2007), Head of the Integration Management Office/Head of Corporate Development of Vattenfall Europe AG (2001-2004) and Head of Corporate Development of VEAG Vereinigte Energie-werke AG (1998-2001). From 1993-1998 he was Head of Management Services and of the Berlin office of the Management Consultants Kienbaum Unternehmensberatung GmbH. 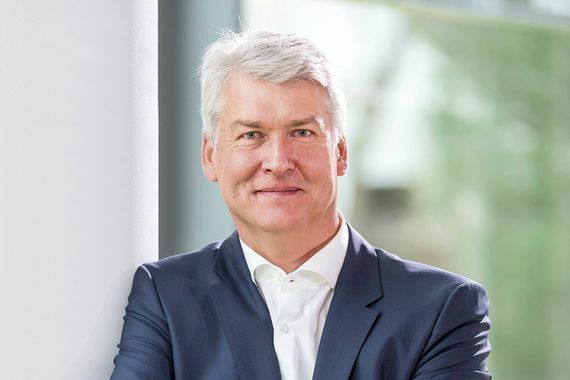 He began his career in 1988 for the Zentrum für Logistik und Unternehmensplanung GmbH after graduating with a degree in economics from the TU Berlin. Hubertus Altmann is a member of the joint Management Board of Lausitz Energie Bergbau AG and Lausitz Energie Kraftwerke AG, responsible for the division Power Plants. Prior to this he was a member of the joint Management Board of Vattenfall Europe Mining AG and Vattenfall Europe Generation AG and responsible for the division Power Plants since 2010. From 2003 to 2013 he was Head of Engineering in the Management Board division Power Plants in Vattenfall Europe Generation AG. In the past, he held had various positions as department Head of engineering in the power plants Hagenwerder/Hirschfelde, Schwarze Pumpe and as Deputy power plant Manager in Jänschwalde power plant. In 1980 he began his professional career in Boxberg power plant, where he became department Head of boilers, machinery and conveyor systems. Hubertus Altmann studied power plant technology, majoring in energy conversion, at the Technical University Dresden. Dr Markus Binder has been the Chief Financial Officer of the Management Board of Lausitz Energie Berbau AG and Lausitz Energie Kraftwerke AG as of 1 March 2017. Prior to this he was a member of the Management Board of Grosskraftwerk Mannheim AG, responsible for the commercial field. From 2008 to 2010 he was Head of various departments of EnBW Ostwürttemberg DonauRies AG. In 2001 he moved to EnBW Kraftwerke AG where Dr Markus Binder was Head of Project CControlling, before he took over the overall commercial responsibility. In 1997 he started his professional career working for A.T. Kearney Management Consultants GmbH in Stuttgart and headed several energy related projects and was member of the European Expertise Centre for Energy Industry amongst others. Dr Markus Binder studied and obtained his doctorate in technically-orientated business administration at the University of Stuttgart. Dr. E. h. Michael von Bronk is member of the joint Management Board of Lausitz Energie Bergbau AG and Lausitz Energie Kraftwerke AG and responsible for the Human Resources division. Since 2009 he has been a member of the joint management board of Vattenfall Europe Mining AG and Vattenfall Europe Generation AG responsible for the Human Resources division. From 2008 to 2009 he was Head of Human Resources Management of Vattenfall Europe Business Services GmbH. 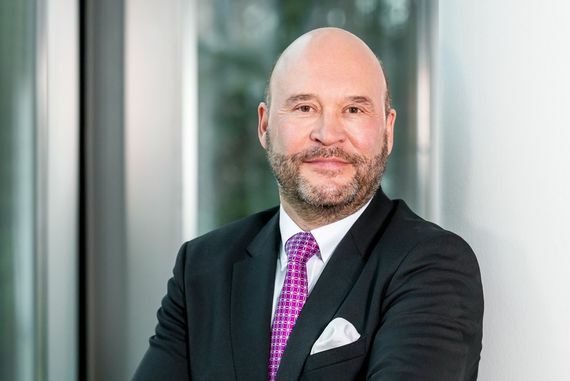 From 2002 to 2008 he was Head of the department Human Resources and Social Services and subsequently Head of Human Resources Management of Vattenfall Europe Mining & Generation. In 1991 he took over the Education and Training/Occupational Healthcare field of VEAG AG and its legal successor company. After his studies, he was supervisor and mine deputy in underground operations of the Bergwerke Ewald und General Blumenthal (collieries). He was Head of education and training there from 1990. Dr. E. h. Michael von Bronk studied mine engineering at the University of Applied Sciences in Bochum. 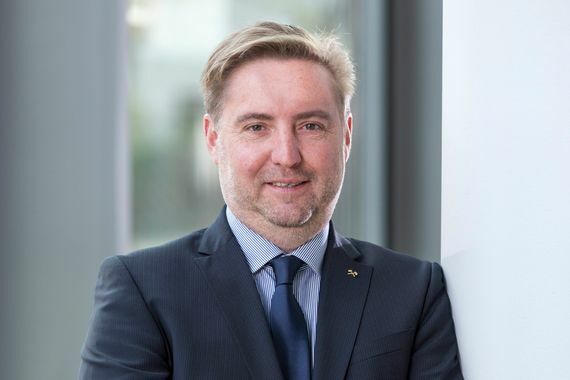 Uwe Grosser is a member of the joint Management Board of Lausitz Energie Bergbau AG and Lausitz Energie Kraftwerke AG and responsible for the mining division. He has been a member of the joint Management Board of Vattenfall Europe Mining AG and Vattenfall Europe Generation AG in this position since 2014. From 2004 – 2013 he was Head of technical services opencast mines and Head of mining of Vattenfall Europe Mining AG. He began his professional career as a shift leader in Welzow-Süd opencast mine, supervisor production and team leader, before becoming Manager of Nochten/Reichwalde and Jänschwalde/Cottbus-Nord opencast mines. Uwe Grosser studied at theFreiberg University of Mining and Technology, and graduated with a degree in mining in1988 and was awarded the Helmut-Härtig-prize. He qualified as a maintenance mechanic with "Abitur" in 1981.